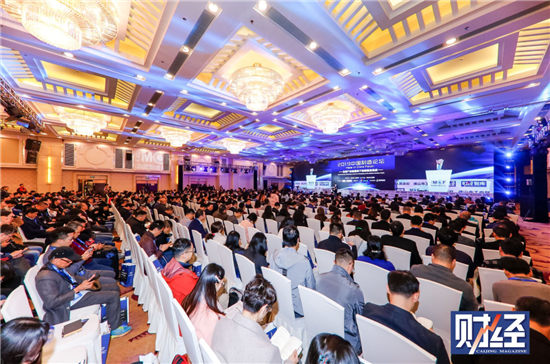 Made In China Forum 2019 opened in Foshan on January 12th. Political, industrial and academic experts and entrepreneurs in manufacturing industry home and abroad gathered to discuss “Manufacturing Challenges Amid the Reshaping of the Global Industry China”. The Transformation and Upgrade of Chinese Manufacturing- the Foshan Strategy was released at the forum, providing a feasible development path for the transformation and upgrading of Foshan and even China’s manufacturing industry. The forum is guided by Foshan Municipal People's Government and sponsored by the Foshan Federation of Industry and Commerce. China's manufacturing industry is now facing the situation of "being blocked by the developed and caught up by the developing". As a large manufacturing country in the world, China must find a way to break through in the transformation and upgrading. Foshan, as a representative city with urban economic development driven by private economy and manufacturing industry, has always been exploring and practicing the transformation and upgrading of manufacturing industry. The forum aims to explore the development direction and methods of Foshan and even China's manufacturing industry through thought exchanges, expert advice, trend research and strategic positioning. Mayor of Foshan Zhu Wei spoke at the forum. Mayor of Foshan Zhu Wei introduced Foshan’s efforts in recent years to promote the high-quality development of manufacturing industry. Taking the supply-side structural reform as the main line, Foshan accelerates the transformation of Made in Foshan to Created in Foshan, Foshan speed to Foshan quality, and large manufacturing city to strong manufacturing city, striving to find an innovative development path of "world technology + Foshan intelligent manufacturing + global market". Over the past three years, Foshan has reduced the burden of enterprises by more than 100 billion yuan. In 2018, there were 150,000 new registered enterprises in Foshan with an increase of 30.9%, and more than 20 large enterprises of which main business income exceeded 10 billion yuan. Zhu Wei said that Foshan should unswervingly take deepening the supply-side structural reform as the main line, put the focus of economic development on real economy with manufacturing industry as the main body, and promote high-quality development of manufacturing industry. First of all, continue to consolidate the achievements of "capacity reduction, destocking, deleveraging, cost reduction and underdeveloped areas improvement". Second, enhance the vitality of enterprises and optimize business environment. Thirdly, enhance the competitiveness of industrial chain. Finally, dredge production and consumption links, especially the channels between financial services and real economy. The Transformation and Upgrade of Chinese Manufacturing- the Foshan Strategy was released at the forum. "Foshan manufacturing industry is a microcosm of China's manufacturing industry, which is typical. Studying the transformation and upgrading of Foshan manufacturing industry can find the key to the transformation and upgrading of China's manufacturing industry." said by Zhu Sendi, Honorary Director of Expert Committee of China Machinery Industry Federation. In 2018, a research group composed of 20 economists and industrial experts went deep into 69 enterprises and 8 industry associations in Foshan, and finally accomplished Foshan Strategy. They believed that the general path of transformation and upgrading of Foshan's manufacturing industry is to achieve higher production efficiency, less resource consumption, better product quality, lower manufacturing costs, faster market response and less environmental influence by integration development, innovation, lean manufacturing, financial assistance, private enterprises expansion and civil-military integration. 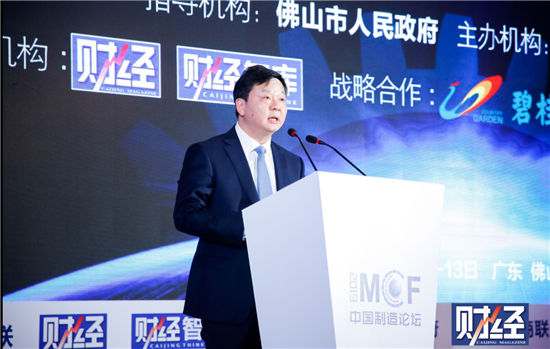 They expected that Foshan could form four "batches" (a batch of multinational companies, a batch of invisible champions, a batch of industrial clusters, a batch of leading enterprises) to achieve better development. This was the second time for Foshan to hold Made in China Forum since last year. The forum this year comprehensively analyzed the development trend of China and global manufacturing industry, and discussed five themes: China’s Manufacturing Upgrade Amid Global Changes, Differences and Synergies in Manufacturing Cities, Achieving Manufacturing Quality Revolution Through Artificial Intelligence, Competitiveness and Lean Management of Manufacturing Enterprises, and Solving the Financial Difficulties of Private Manufacturers. Many Foshan entrepreneurs said that they benefited a lot fromm the two-day forum. "I was inspired by the experts' advanced views on the development of intellectualization and digitalization, and the experience sharing of leading enterprises like Midea." Wang Cheng, general manager of Foshan Tianheng Electrical Technology Co., Ltd. Chen Weicheng, deputy chairman and secretary-general of Foshan Hi-tech Industry Association, believed that experts had conducted in-depth discussions on the difficulties encountered by Foshan manufacturing enterprises in the process of transformation, which provided useful references for enterprises.